Nicolas Malebranche (August 6, 1638 - October 13, 1715) was a French philosopher of the Cartesian school. His philosophy was heavily influenced by the work of St. Augustine, and is primarily known for his doctrines of vision in God, occasionalism and theodicy. Malebranche's positive doctrines gathered few adherents, though Leibniz expressed sympathy for the vision in God and aspects of occasionalism and Berkeley was almost certainly influenced by the doctrine of vision in God. Yet Malebranche's arguments in support of those doctrines (and against the existing scholastic views) exerted significant influence on later philosophers. The most notable example may have been the influence his arguments concerning causation had on Hume—indeed, parts Hume's Treatise of Human Nature bear a striking resemblance to part of Malebranche's The Search after Truth. In general, Malebranche had a keen understanding of crucial philosophical issues, which has made his work interesting to generations of philosophers who lacked his particular theological commitments. The youngest child of Nicolas Malebranche, secretary to King Louis XIII of France, and Catherine de Lauzon, sister of a viceroy of Canada, was born in Paris. Suffering from a malformed spine and weak lungs, he received his elementary education at home, under the guidance of his mother. At 16, he left home to study at the College de la Marche, and subsequently to study theology at the Sorbonne. At the time, the curriculum of the Sorbonne was largely scholastic (centered around the works of Aristotle), which Malebranche found highly dissatisfying. In light of that experience, he joined the congregation of the Oratoire de France in 1660, having rejected an offer of a canonry at Notre-Dame. The Augustinian cardinal Pierre Bérulle had founded the Oratory in 1611. It was during his time there that Malebranche became immersed in the works of St. Augustine, which would deeply impact his mature philosophy. In addition, Malebranche studied ecclesiastical history, Hebrew and the Bible, but generally failed to impress his teachers. He was ordained a priest on September 14, 1664. It was also in 1664 that Malebranche directly encountered Descartes’ work for the first time. While walking down the rue St. Jacques, he came across a posthumous edition of Descartes’ Treatise on Man (L’homme) in a bookstall. According to an early biography by Father Yves André, Malebranche was so ecstatic as he began looking at the pages that he was forced to stop reading in order to recover his breath. The following ten years of his life were spent in deep study of Cartesian philosophy, methodology, mathematics and natural philosophy. In 1674 Malebranche published the first three books of what is probably his major work, The Search After Truth (De la recherche de la vérité), with the final three books appearing the following year. The treatise presents an extended criticism of scholastic philosophy and presents two of Malebranche’s three central doctrines: the vision in God and occasionalism. It also contains much of the material for the third doctrine, the theodicy. Over the course of his career, Malebranche defended his system against a number of objectors, but the criticisms that were to draw the most attention came from Antoine Arnauld, whose initial approval of the work turned into some of the sharpest criticism with which Malebranche was presented. The criticism began with the publication of Arnauld’s Des vraies et des fausses idèes in 1683 and ultimately resulted in both the Treatise and the Search being placed on the Catholic Index librorum prohibitorum in 1690 and 1709 (respectively). Malebranche resolutely defended himself in writing, and the debate even continued after Arnauld’s death in 1694, due to the posthumous publication of two of Arnauld’s letters. By the mid-1680’s, Malebranche was established as one of the major philosophical figures of the time, and corresponded with such high-profile intellectuals as Gottfried Leibniz and the physicist Pierre-Sylvain Régis. He was elected to the Académie Royale des Sciences in 1699. Up until his death in 1715 at the Oratory in Paris, he continued to develop and defend his system. Though the more dramatic metaphysical aspects of Malebranche’s views entertained an (at most) limited following, many of his arguments profoundly influenced such anti-rationalist thinkers as Berkeley and Hume. The Search went through six editions in Malebranche’s lifetime, during which he added a significant amount of material in response to objections that came from Cartesians and Scholastics alike. Over the next forty years, Malebranche developed the philosophical ideas presented in the Search in a number of works, beginning with the Conversations chrétiennes in 1677 (a dialogue emphasizing our dependence on God for both knowledge and happiness), Traité de la nature et da la grace in 1680 (translated as Treatise on Nature and Grace - which offered a more detailed account of Malebranche’s views of theodicy and divine activity), and the Méditations chretiennes et métaphysiques in 1683 (where the system is presented with an emphasis on the centrality of God in both metaphysics and morality). The 1688 Entretiens sur la métaphysique et la religion (often translated as Dialogues on Metaphysics) is perhaps the most accessible presentation of the system, consisting of 14 dialogues presenting a more mature version of Malebranche’s three doctrines. 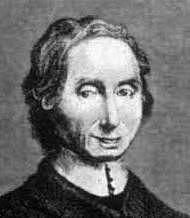 In addition to his philosophical and theological work, Malebranche published on a variety of topics in mathematics and natural philosophy. The current edition of his work includes 20 volumes. In general, Malebranche’s philosophy aims to bring together the Augustinian theme of our dependence on God with the metaphysics and framework of Cartesian philosophy, and to straightforwardly reject Aristotelian philosophy. Indeed, the first two of his major doctrines can be seen as a radicalization of Cartesian views towards Augustine's theocentricity. His criticisms of the scholastic tradition are sometimes primarily philosophical, and at other times primarily theological. His positive views, on the other hand, are typically brought under three headings: the vision in God, occasionalism and the theodicy. Though Malebranche's philosophy certainly extends beyond these doctrines, they are nevertheless the parts of his thought that proved most influential. The doctrine known as 'vision in God' gives a metaphysical and epistemological account of our non-sensory knowledge. Malebranche retained Descartes' view that knowledge is accomplished via certain spiritual entities called 'ideas' (so that we do not immediately relate to the objects which we perceive and about which we think), and that these entities can only exist in an intellect. Malebranche also continued to employ Descartes' notion of a clear and distinct idea - that is, an idea that presents a truth that we cannot but affirm when we consider it (Descartes' central example being the idea that God exists). For his part, Descartes held that the intellect in which the ideas exist is our own, human intellects. That is, our ideas are modifications of the thinking substances that we are (see the Third Meditation in Descartes' Meditations). This entails, for instance, that the idea I have of triangles would go out of existence were I to go out of existence. With respect to clear and distinct ideas, Descartes held that we can rely on the truth of these ideas because (1) we cannot but assent to them and (2) God, who created us, is not a deceiver, which entails (3) that those ideas cannot be false, for only a deceiver would create creatures who inevitably assent to ideas that may be false. Malebranche parted company with Descartes on both points; emphasizing Augustine's doctrine that only God is capable of revealing truth to us (he cites, for instance, chapter 15 of Augustine's De Trinitate). On Malebranche's view, ideas (distinguished from mere perceptions) only exist in the divine intellect. Moreover, it is because the ideas are in the divine intellect that they cannot be false, for they are God's own ideas of the world. It is by God's will that we come to see these ideas. Our knowledge is thus shown to depend on God twice over: not only are the ideas by which we know themselves dependent on God for their existence, but those ideas are only accessible to us via God's willing that it be so. Malebranche's motivations and arguments for this view are varied and often quite subtle (see Chapter 6 of Part 2 of Book three of The Search for a summary). The resulting dependence of our knowledge on God, he argued, fits well with the Bible's descriptions of God's role in our coming to know truth. In a different vein, Malebranche argues that our ability to have ideas of any object about which we desire to think can only be the result of our being closely related to a being sufficiently powerful to have ideas of all objects. Also, Malebranche was impressed by our ability, as finite beings, to know general and necessary truths - something that could be explained if that knowledge was merely our seeing the ideas in an omnipotent and omniscient being. Occasionalism is a metaphysical doctrine that asserts that God is the only true causal agent in the universe. Malebranche was one of a number of philosophers (including Louis de la Forge (1632-66) and Gerauld de Cordemoy (1614-84)), who found suggestions of such a doctrine in Descartes. Of particular importance was Descartes' claim that our endurance through time is the result of God's continually reproducing us (see Descartes' Principles Part 1, proposition 21). If this is so, then one might be inclined to think that there is simply nothing left for the created substances to do - when two billiard balls bounce off one another, this is nothing more than God's having recreated them in slightly different places at different points in time. The balls themselves did not cause any change of direction in each other. While it is unlikely that Descartes would have accepted such a radical claim, such a train of thought certainly appealed to Malebranche's Augustinian leanings. Accordingly, in chapter 3, part 2 of book 6 of The Search, Malebranche cites Augustine as holding that "everything that can act upon us as a true and real cause is necessarily above us" (based on Augustine's De quantitate animae). According to Malebranche, particular events such as balls colliding or a person willing that he stand are simply "occasions" on which God exercises his causal power. Similarly, when one's hand touches a stove, this is merely the occasion on which God causes a certain sensation in the mind. There is therefore no true causal interaction between bodies, or between minds and bodies. This view therefore avoids one of the most famous objections to Descartes' system; namely, how it is that two substances as radically different as the mind and the body can interact (an objection made by Princess Elizabeth in the May 6, 1643 letter to Descartes). As with his doctrine of vision in God, Malebranche's arguments for this position stemmed from both theological and philosophical concerns (see chapter 3 of part 2 of book 6 of The Search). In addition to making the unfolding of events in the world intimately dependent on God's power, Malebranche also argued for the view on the basis of the claim that the object of our love and fear is whatever we understand to be the cause of good and evil. Taken together with occasionalism, this claim entails that God alone should be loved and fears - something Malebranche found to be explicit in Scripture (he cites 1 Tim. 1:17). Malebranche also argued that in order for one thing to cause another, there must be a necessary connection between the two. Yet, he noted, there is no necessary connection between our idea of volition to stand and our idea standing, or between our idea of a rock being thrown and our idea of a window breaking. So while we normally speak of such things as being causally related, the lack of a necessary connection between them shows that this cannot be the case. By contrast, there is a necessary connection between the ideas of the volitions of an omnipotent being (God) and the ideas of what it is that that being wills to bring about. For the thought of omnipotence inevitably involves the thought of God accomplishing whatever he desires. Finding such a connection nowhere else, Malebranche asserted that the only cause in the universe must be God. This argument, as well as Malebranche's account of the associative tendencies which underlie our everyday thoughts about causation, were to dramatically influence the work of David Hume. The inconsistency stems from the inference (based on claim 2) that an omniscient, omnipotent and omnibenevolent creator would create the best possible world. Leibniz would famously deny claim 1 - holding that the actual world was in fact the best of all possible worlds (see Leibniz's own Theodicy). Malebranche was not attracted by this option, and since claim 2 was non-negotiable, was moved to deny the inference. On Malebranche's view (set out most clearly in the Treatise on Nature and Grace), then, it is false that an omniscient, omnipotent and omnibenevolent being must create the best possible world. Arguing via analogy, he insisted that the excellentness of a craftsman does not simply show itself in the excellentness of the product, but also in the ways in which the craftsman creates (and perhaps also sustains) that product. As an example, consider two sculptors who each create a sculpture of a cat. Someone might look at both works and conclude that the artists were equally good, yet that judgment would be revised if the onlooker were told that the first artist created her sculpture in 20 chisel-strokes over the course an afternoon, while the second spent years producing hers while using hundreds of different tools. So in evaluating the greatness of the sculptors, both the product and the means of production must be taken into account. With this idea in hand, Malebranche was able to affirm both claims 1 and 2. On his view, God could have produced and then preserved a more perfect world, but only via some more complex set of actions and natural laws. Similarly, God could have made and preserved the world in a simpler manner, but only at the cost of decreasing the perfection of the world. The combination of means and product in the actual world is, he concluded, the best possible compromise, and this explains why God created the world he did. Malebranche, N., ‘’Oeuvres complètes de Malebranche’’ (20 vols. ), Andre Robinet, ed. (Paris: J. Vrin, 1958-84). Nicolas Malebranche: Philosophical Selections, Steven Nadler, ed.) (Indianapolis: Hackett Publishing Company, 1992). The Search After Truth, Thomas M. Lennon and Paul J. Olscamp, trans. and eds. (Cambridge: Cambridge University Press, 1997). Dialogues on Metaphysics, Willis Doney, trans. (New York: Abaris Books, 1980). Treatise on Nature and Grace, Patrick Riley, trans. (Oxford: Oxford University Press, 1992). André, Y. M., La vie du R. P. Malebranche (Geneva: Slatkin Reprints, 1970 (originally Paris: Ingold, 1886)). MacCracken, Charles J., Malebranche and British Philosophy (Oxford: Clarendon Press, 1983). Nadler, Steven, “Introduction” in Nicolas Malebranche, Philosophical Selections, Steven Nadler, ed. (Indiana: Hackett Publishing, 1992). Radner, Daisie, Malebranche: A Study of the Cartesian System (Assem and Amsterdam: Van Gorcum, 1978). Schmaltz, Tad M., “Nicolas Malebranche,” in A Companion to Early Modern Philosophy, Steven Nadler, ed. (Oxford: Blackwell Publishing, 2002). Brown, Stuart (ed. ), Nicolas Malebranche: His Philosophical Critics and Successors (Assen and Maastricht: Van Gorcum, 1991). Chappel, Vere (ed. ), Nicolas Malebranche (New York: Garland Publishing, 1992). Nadler, Steven (ed. ), The Cambridge Companion to Malebranche (Cambridge: Cambridge University Press, 2000). Connell, Desmond, The Vision in God: Malebranche's Scholastic Sources (Louvain and Paris: Nauwelaerts, 1967). Jolley, Nicholas, The Light of the Soul: Theories of Ideas in Leibniz, Malebranche and Descartes (Oxford: Clarendon Press, 1990). Nadler, Steven, Malebranche and Ideas (Oxford: Oxford University Press, 1992). Schmaltz, Tad, Malebranche's Theory of the Soul: A Cartesian Interpretation (New York: Oxford University Press, 1996). This page was last modified on 3 December 2018, at 17:22.